Change things up with these side-trips from Cape Town: Boulders Beach (in Simon's Town), Cape of Good Hope (in Table Mountain National Park) and Cape Town Central (Cape Point Nature Reserve & Hout Bay). There's still lots to do: take in the awesome beauty at Table Mountain, take a leisurely stroll along Victoria & Alfred Waterfront, kick back and relax at Clifton Beaches, and admire nature's wide array of creatures at Two Oceans Aquarium. To see reviews, ratings, traveler tips, and other tourist information, refer to the Cape Town vacation trip planner. San Francisco, USA to Cape Town is an approximately 33-hour flight. Due to the time zone difference, you'll lose 10 hours traveling from San Francisco to Cape Town. Traveling from San Francisco in April, you will find days in Cape Town are a bit warmer (74°F), and nights are about the same (54°F). Finish your sightseeing early on the 20th (Thu) so you can travel to Plettenberg Bay. Explore Plettenberg Bay's surroundings by going to Tsitsikamma National Park (Storms River Suspension Bridge, Otter Trail, & more) and Knysna Heads (in Knysna). There's much more to do: identify plant and animal life at Robberg Nature Reserve, stop by Newstead Wines, get a dose of the wild on Knysna Elephant Park, and savor the flavors at Harkerville Saturday Village Market. To find photos, more things to do, maps, and more tourist information, read our Plettenberg Bay custom trip planner. Traveling by flight from Cape Town to Plettenberg Bay takes 3 hours. Alternatively, you can drive; or take a bus. April in Plettenberg Bay sees daily highs of 71°F and lows of 58°F at night. Finish your sightseeing early on the 24th (Mon) so you can drive to Oudtshoorn. Take a break from Oudtshoorn with a short trip to Wilderness Beach in Wilderness, about 1h 10 min away. There's still lots to do: Head underground at The Cango Caves, look for gifts at La Chocolaterie Rococo, admire all the interesting features of Safari Ostrich Show Farm, and look for all kinds of wild species at Cango Wildlife Ranch. To see photos, maps, more things to do, and other tourist information, read our Oudtshoorn trip itinerary builder. You can drive from Plettenberg Bay to Oudtshoorn in 2.5 hours. Another option is to take a bus. Finish your sightseeing early on the 28th (Fri) so you can travel to Kruger National Park. 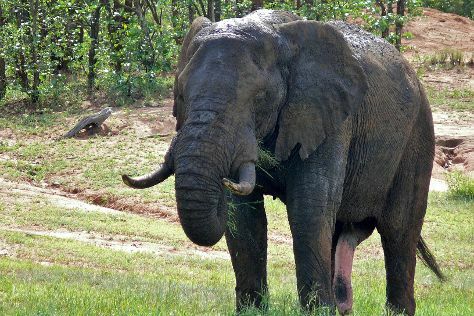 Get out of town with these interesting Kruger National Park side-trips: Amarula Lapa (in Phalaborwa) and Idube Game Reserve (in Sabi Sand Game Reserve). 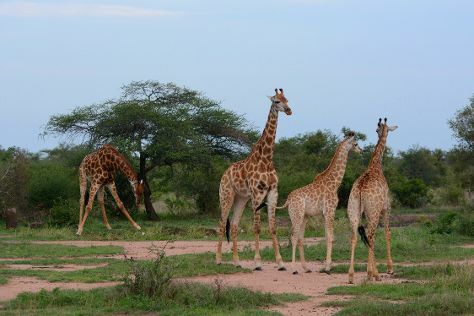 On the 29th (Sat), hike the day away at Game drives at Phalaborwa Gate in Kruger National Park. There's still lots to do: look for all kinds of wild species at Napi Wilderness Trail, trek along Mphongolo Backpacking Trail, and tour the pleasant surroundings at Wolhuter Wilderness Trail. To find traveler tips, where to stay, reviews, and tourist information, read our Kruger National Park itinerary maker. Traveling by combination of bus, flight, and taxi from Oudtshoorn to Kruger National Park takes 7.5 hours. Alternatively, you can drive. In April, plan for daily highs up to 79°F, and evening lows to 60°F. Wrap up your sightseeing by early afternoon on the 5th (Fri) to allow enough time to drive to Hoedspruit. Spend the 7th (Sun) exploring nature at African Dawn Safaris Tours & Transfers - Day Safaris. There's much more to do: identify plant and animal life at Thornbush Game Reserve, look for gifts at Kumbaya Home Decor, take in the exciting artwork at Ukuthula Arts & Craft Shop, and meet the residents at Kinyonga Reptile Center. For reviews, where to stay, traveler tips, and other tourist information, read our Hoedspruit itinerary maker. Drive from Kruger National Park to Hoedspruit in 3 hours. In May, plan for daily highs up to 76°F, and evening lows to 55°F. Wrap up your sightseeing on the 10th (Wed) early enough to drive to Nelspruit. Step out of Nelspruit to go to Hazyview and see Elephant Whispers, which is approximately 1h 10 min away. Spend the 11th (Thu) exploring nature at Kruger National Park. Next up on the itinerary: do some rugged touring at local off-road trails, look for all kinds of wild species at Jane Goodall Chimpanzee Eden Sanctuary, stop by Africa Joy, and take in nature's colorful creations at Lowveld National Botanical Garden. To find where to stay, ratings, other places to visit, and tourist information, read Nelspruit tour planner. Drive from Hoedspruit to Nelspruit in 2.5 hours. May in Nelspruit sees daily highs of 73°F and lows of 54°F at night. Wrap up your sightseeing by early afternoon on the 13th (Sat) to allow time for travel to Johannesburg. Venture out of the city with trips to Pretoria (Union Buildings & Horseback Africa), Montecasino (in Sandton) and Wild Cave Adventures (in Krugersdorp). Pack the 15th (Mon) with family-friendly diversions at Gold Reef City. There's much more to do: see the interesting displays at Apartheid Museum, steep yourself in history at Constitution Hill, make a trip to Nelson Mandela Square, and brush up on your military savvy at South African National Museum of Military History. To find ratings, where to stay, more things to do, and tourist information, read Johannesburg tour planner. You can do a combination of flight and train from Nelspruit to Johannesburg in 3 hours. Alternatively, you can drive; or take a bus. Plan for a bit cooler nights when traveling from Nelspruit in May since evenings lows in Johannesburg dip to 47°F. Wrap up your sightseeing on the 18th (Thu) early enough to travel back home.